churches and society at large through our book centers in Dar es Salaam, lringa, Mwanza, Arusha, Mbeya and mobile distribution network. We are looking for a dynamic, focused and Bornagain Christian to fill the post of Stores Manager Trainee to be stationed at Dar es Salaam. Preparation and maintenance of organization stores books in accordance with generally acceptable procurement and supplies standards. Ensures that stores systems are fully implemented for monitoring all items in the store. Maintenance of stores systems of; - Purchase Ordering, GRNs, Suppliers Invoices, Inter Store Transfers .. etc. and keeping up to date records of all inventories. Receiving and verifying all items ordered as per purchase orders. Data capturing in Sage Pastel Accounting Package. Work closely with the Sales and Finance Managers in preparation of needed stocks reports for decision making purposes. 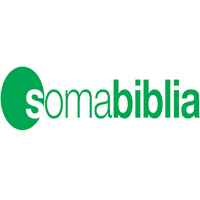 Compliance with Soma Biblia Procedures Manual for daily Functions of Stores. Ensuring that all stocks are properly stored, accounted for, shelves are well labeled and arranged. Ensure that all purchase orders generated are approved, t imely sent to supplies and monitored. Receipt of branch orders and timely processing of deliveries. Arrange and attend regular physical inventory counting/ verification and reconciliation of all differences to logical conclusion. Prepare and recommend to the management list of obsolete or damaged stocks for write off or sales at reduced prices. Offering assistance and explanations to Auditors as the need arises. Performance of other duties as may be assigned by the Sales and Finance Managers. Excellent computer skills in all Microsoft Applications. Knowledge in Sage Pastel Accounting package and PSPTB registered are added advantages. Good at time management, flexible and honest. Born-again Christian with unquestionable ethics and Integrity. The closing date for applications is Friday 21st July, 2017.